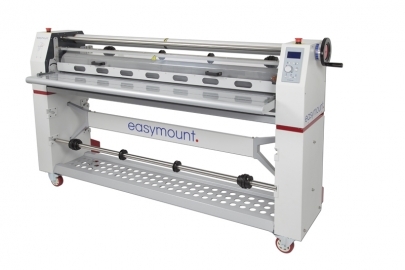 The Easymount 1600 Independently Heated Rollers laminator is designed to perform and built to last. This Easymount® Sign laminator is designed to perform and built to last, with its solid heavy duty construction. An easy-to-use laminating system with self gripping mandrels and a flip down feed tray. The Easymount® Sign includes an integral media take-up unit, making the system ideal for single banners or reel to reel laminating up to 50m / 164 feet.